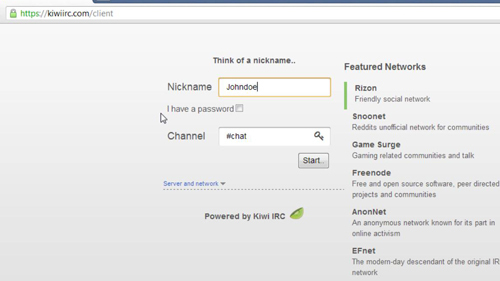 IRC is a very handy tool to communicate with certain groups of people via text, without the use of a third party program. 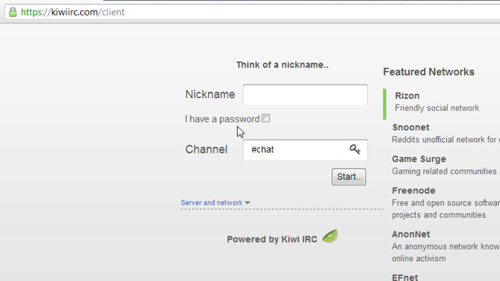 In this tutorial, you’ll learn how to chat online with IRC. Now, enter a desired nickname. Depending on the server, your desired nickname may already be registered, in which case you won’t be able to use it. The channel determines which room you’ll be placed in, so if you plan on meeting with others you’ll need to make sure you enter the right channel name. Keep in mind you must have a # before the channel name. You can leave these settings alone unless you’re attempting to connect to a specific server. If you’re meeting with others, they may be using a different server in which case you’ll need to obtain that information from them and enter it here. When you’ve finished inputting the desired settings, go ahead and click “Start…” Now you’ll be placed in the channel you typed in, on the server you specified. 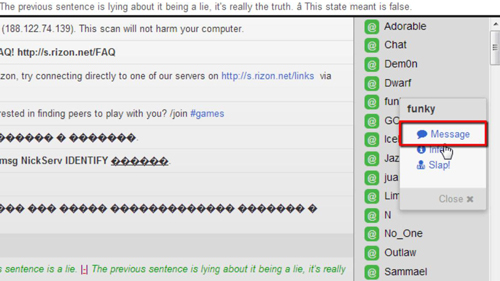 You can go ahead and start typing in the message box on the bottom of the screen and the message will be displayed to all members of the chat room. All online members will be shown on the right-hand side of the screen. To send a private message to another member of the chat room, simply click on their name on the members list and click “Message” a new tab will open where you can privately communicate with them. 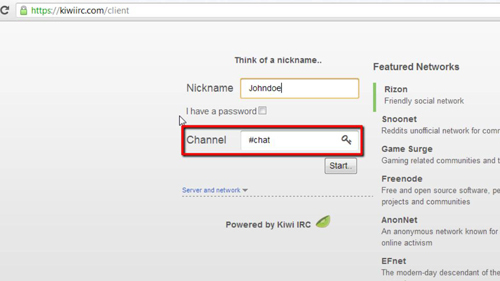 To join multiple channels on one server, type “/join #channelname” and a new tab will open for that specific channel, you can then simply enter a chat message. 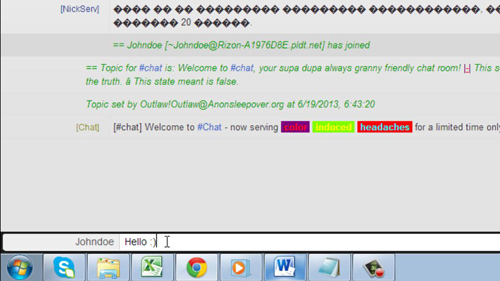 You now know how to chat online with IRC.